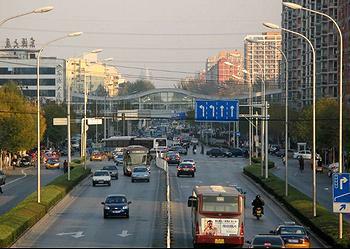 BEIJING, China, May 24, 2013 (ENS) – The City of Beijing plans to have 50,000 electric cars on the streets by 2015, 30,000 of which will be owned privately, according to the Legal Evening News, a Beijing newspaper. In addition to the 30,000 private electric vehicles planned for China’s capital city by 2015, there will be 8,000 electric or hybrid public buses — a third of the total number of buses in Beijing. Plans call for 10,000 electric taxis or government vehicles and 2,000 EVs for uses in logistics, environmental, postal and rental sectors. “BAIC has made a promise to the city of Beijing to launch electric cars in the first half of 2013,” said Lin Yi, the managing director of New Energy Automotive, Ltd., a subsidiary of the state-owned Beijing Automotive Group, or BAIC. “We are now looking for volunteers to purchase he first batch of electric cars in Beijing; there will be dozens of them in the first half of the year,” he said. To promote electric vehicles, the city and the central government are each offering a 60,000 yuan ($9,800) subsidy to private citizens willing to purchase an electric car. Anyone can sign up to test-drive electric cars on evbeijing.cn. 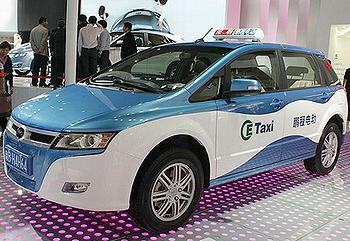 According to the official People’s Daily newspaper, Beijing’s pilot subsidy plan for private purchases of new energy vehicles has received preliminary approval from the four central ministries including the Ministry of Finance and the National Development and Reform Commission. “The front-end cost is about the same, but an electric car and a traditional car have vastly different maintenance costs,” said Xu Heyi, the president of BAIC. In addition, Beijing has just built what it claims is the world’s largest electric car charging station, used to charge up to 400 electric sanitation vehicles per day. Beijing also has four other charging stations and 15 groups of charging posts around the city. On May 19, the first electric car rental service in Beijing opened in the Wudaokou area of the city as part of the Electric Beijing Partnership Plan, Caixin News, a financial news website, reports. As part of the launch, dozens of EV chargers were installed. The partnership between Yika Car Rental Service and Beijing Automotive Group, one of China’s largest state-owned automakers, has rolled out the first batch of electric cars, 15 vehicles produced by BAIC. Automotive Safety and Energy National Laboratory Director Ouyang Ming Gao says the rental service is part of the initiative to popularize electric cars in Beijing in the hopes of easing the city’s perennial congestion and pollution problems. Across China, the government has set a target of producing and selling 500,000 energy-efficient and alternative-energy vehicles a year by 2015, and five million vehicles by 2020. These goals were announced by China’s State Council in July 2012.